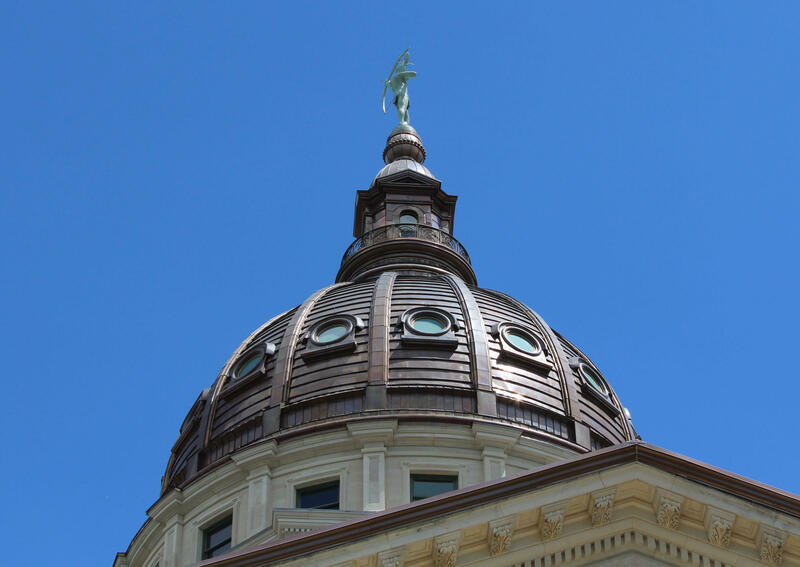 The final budget bill that Kansas lawmakers approved earlier this month includes funding to partially restore cuts to community mental health centers over the past decade, but offers a mixed picture for the two state psychiatric hospitals. The final budget bill that lawmakers approved earlier this month includes funding to partially restore cuts to community mental health centers over the past decade, but offers a mixed picture for the two state psychiatric hospitals. The bill also designates $4.7 million to reopen 20 beds at Osawatomie State Hospital or to pay another facility to make them available through a contract. Gov. Sam Brownback has received the bill but has yet to take action on it. The governor’s initial budget proposal from the start of the session would have cut about $20 million from Osawatomie and Larned state hospitals by declining to replace lost federal funding. The state-run psychiatric hospitals are for Kansans with serious mental health issues who have been deemed a danger to themselves or others. Since 2015, Osawatomie State Hospital has run 60 beds below its capacity of 206 and no longer takes voluntary patients. 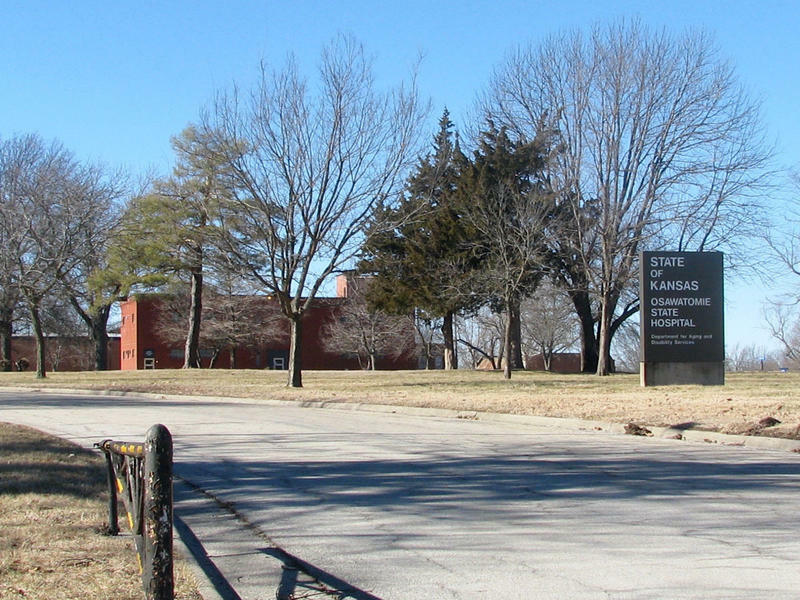 The Kansas Department for Aging and Disability Services initially closed some units at Osawatomie State Hospital to allow for federally mandated renovations but didn’t reopen them after federal officials decertified the hospital and cut federal payments in December 2015 due to unsafe conditions. That has cost the state about $1 million a month in Medicare reimbursements. During a recent visit to Osawatomie State Hospital as part of the recertification process, inspectors found new issues. But KDADS officials say those are being resolved and inspectors will return for another visit. Although KDADS had requested steady funding for Osawatomie State Hospital in the upcoming fiscal year, the Legislature appropriated about $5.1 million less, possibly believing the hospital would soon regain federal payments. Lawmakers did instruct the Kansas State Finance Council to review funding for Osawatomie State Hospital later in the upcoming fiscal year, however. De Rocha said she doesn’t anticipate that budget cuts will be needed at Osawatomie State Hospital before federal payments resume or lawmakers return to appropriate more money. Earlier in the legislative session, KDADS Secretary Tim Keck told lawmakers that he would be cautious about reopening beds at Osawatomie State Hospital because of the need to hire more staff. For several years, KDADS officials struggled to maintain adequate staffing levels at the state psychiatric hospitals but recently launched efforts to recruit new employees and improve work conditions and patient care. Angela de Rocha, spokeswoman for KDADS, said department officials haven’t decided whether to reopen any beds at Osawatomie State Hospital in the near future, but she expects at least some of the 20 beds will be provided by contractors. Amy Campbell, who lobbies of behalf of the Kansas Mental Health Coalition, said opening 20 beds at Osawatomie State Hospital won’t solve the problem of Kansans waiting in emergency rooms or jails for a psychiatric hospital bed. But she said the funding for the beds is a positive step. Lawmakers might have to come up with more money for Osawatomie State Hospital quickly when they return in January if federal payments don’t resume, Campbell said, but their investment in mental health suggests they don’t intend to shortchange the state hospitals. “It doesn’t give me much heartburn, when you consider the money they’ve put on the ground to support these other programs,” she said. While it isn’t clear when Osawatomie State Hospital might regain federal payments, it likely will remain in state hands, at least through 2018. Keck had proposed the idea of privatizing the hospital in 2016, but met with a backlash from lawmakers, who inserted provisions into several bills to forbid selling off the state hospital without their permission. KDADS issued a request for bids to operate the hospital and received one, from a company with a history of safety issues at its Florida facilities. KDADS officials didn’t bring a proposal before the Legislature this session for approval, and De Rocha said they continue to evaluate the bid. Community mental health centers will benefit from an increased fee on some insurance plans, which will help replace a 4 percent cut to Medicaid providers. Brownback made the cuts, which were estimated to produce $56 million in savings, to close a budget gap in 2016. If the fee produces more than enough to replace the rate cuts, mental health centers also could receive up to $3.5 million to divide. Lawmakers also appropriated $4 million from the state general fund for the centers. The new money won’t entirely restore the $20 million that mental health centers have lost since 2007, but it will ease some of the pressure on them, said Kyle Kessler, executive director of the Association of Community Mental Health Centers of Kansas. 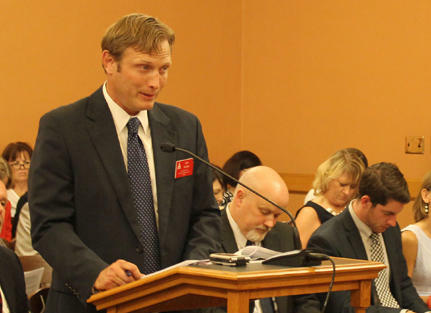 Kyle Kessler, executive director of the Association of Community Mental Health Centers of Kansas, says additional funding that the Legislature approved this session will ease some financial pressures for community mental health centers. The centers have to treat all patients who comes to them with serious mental illnesses, regardless of their ability to pay, Kessler said. Because they can’t treat fewer patients, they’ve dealt with funding shortfalls by leaving positions open, holding off on pay increases and cutting support services. Additional money could help with retaining staff and offering patients more comprehensive services, he said. However, Brownback vetoed a bill that have would allocated funding from new lottery ticket vending machines to crisis centers and clubhouse programs, which help people with serious mental illnesses to learn job and life skills. The mental health centers didn’t get as much funding as they sought this year, but Kessler said he was “encouraged” by lawmakers’ interest in mental health issues this session. He and other association members testified before committees more often than in the past, and found receptive ears in both parties, he said. “The future looks bright. We have a lot of work to do, but this is a good start,” he said. Lawmakers also showed an interest in mental health during the 2016 session when they appropriated more money for the state hospitals, Campbell said, but repairing the damage from a decade of reduced investment will take more than a few years. Appropriate $3 million from a federal block grant for the Healthy Families, which uses home visiting to prevent children abuse and neglect. Appropriate $20.3 million to increase wages for workers providing home and community-based services to people with physical or mental disabilities. Direct the Kansas Department of Health and Environment to contract with someone to inspect dialysis clinics. Require KDHE to develop standard processes for the three managed care organizations administering KanCare. Allow pharmacists to give vaccines to anyone 12 or older. Allow pharmacists to substitute “biosimilars” for name-brand biologic drugs. Require child care centers to use safe sleep practices with infants. Give priority to nursing students who intend to work in mental health when awarding scholarships. Require parents give consent before a health facility placed a do-not-resuscitate order on a minor. Allow first responders and bystanders to administer antidotes to people who overdosed on opioids. Safety concerns continue to prevent recertification of Osawatomie State Hospital, although a recent inspection didn’t find any evidence of the patient violence that prompted federal officials to decertify it in late 2015. Staffing shortages and concerns about security and patient safety prompted the initial order. Certain they had addressed those issues, state officials appeared confident the state-run psychiatric hospital would pass muster. 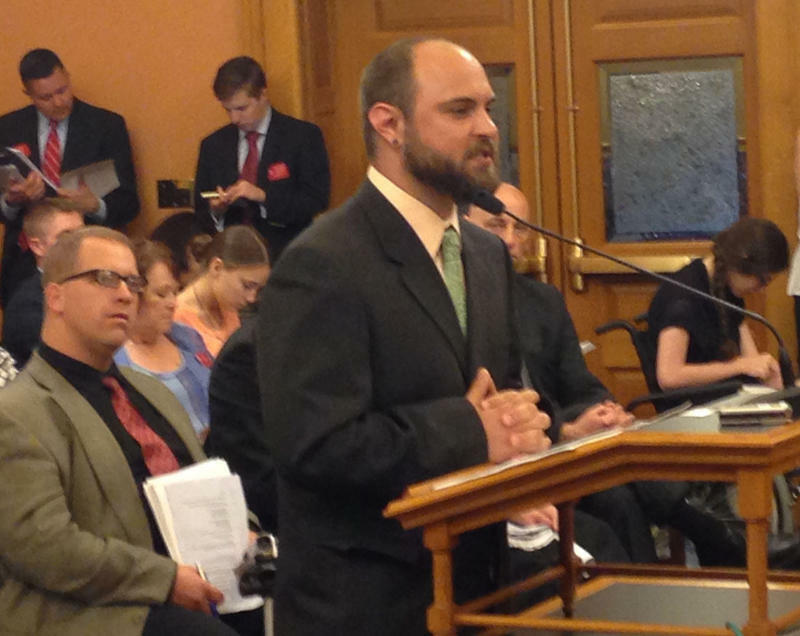 More Funding For Mental Health, Disability, Senior Services In Kansas: None Of The Above? 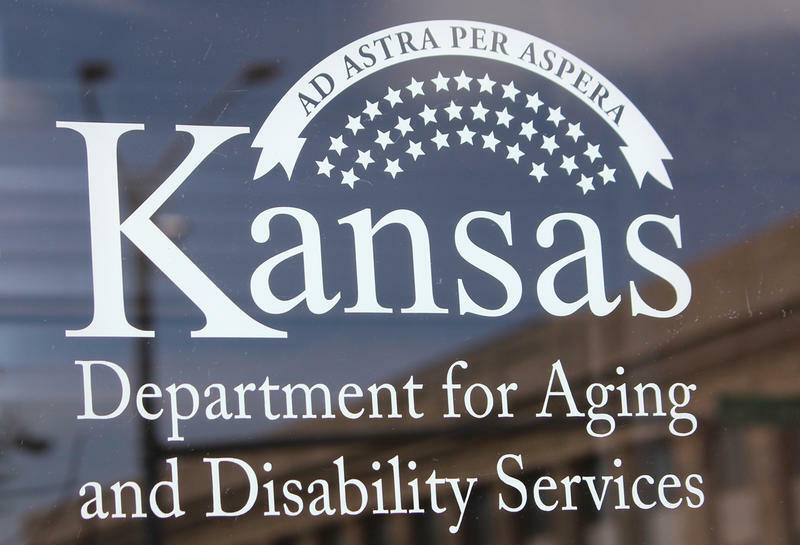 A Kansas House committee overseeing budgets for social services offered appreciation to programs serving the elderly and people with disabilities or mental illnesses. Legislators may not be able to offer much more than that. Kansas’ two state-run psychiatric hospitals would lose nearly $20 million under the budget proposed by Gov. Sam Brownback. In the current fiscal year, Osawatomie and Larned state hospitals are relying on state funds to make up for the loss of federal funding. Brownback’s recommendations for the fiscal year that starts in July would end that practice, leaving it to the hospitals to make up the lost revenue. Two employees of Larned State Hospital made rare public comments Monday about difficult working conditions at the mental health facility. Kyle Nuckolls and Lynette Lewis described for a legislative committee the toll that mandatory overtime and limited time between shifts is taking on workers at the short-staffed facility and their families. “I’ve never seen it this bad,” said Lewis, a pharmacy technician who has worked at Larned for 18 years.